First Themed River Safari Wildlife Park – Or River safari park in Singapore, Asia. Designed by DP Architects. 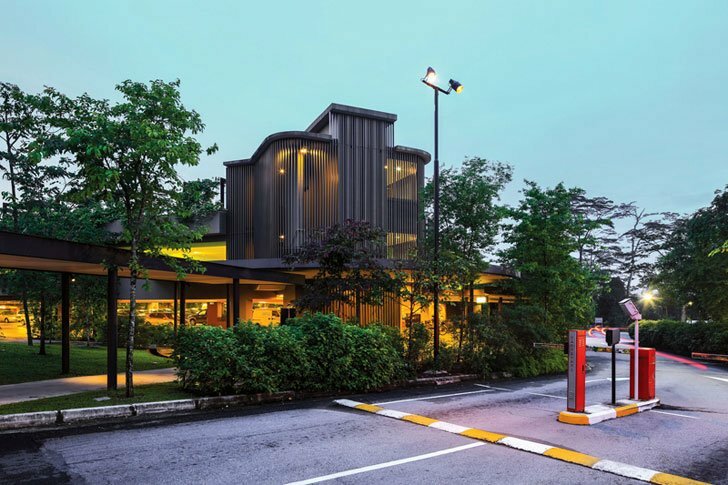 This project is located Mandai, Singapore. River Safari wild life park is the first and only river-themed wildlife park in Asia. Hosting Southeast Asia’s largest panda exhibit and the world’s largest freshwater aquarium. 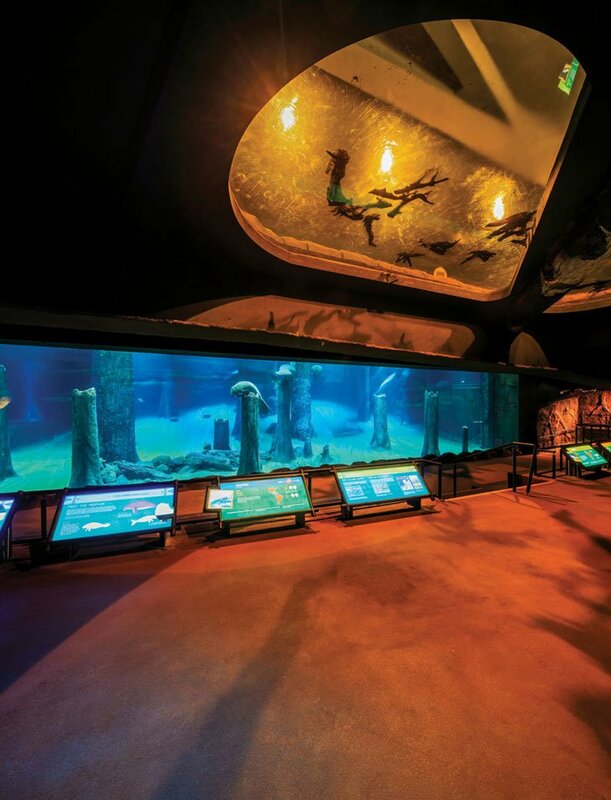 It is not just a collection of wildlife exhibits, but blends the animal habitats into a natural setting – Immersing guests and animals in the same landscape. 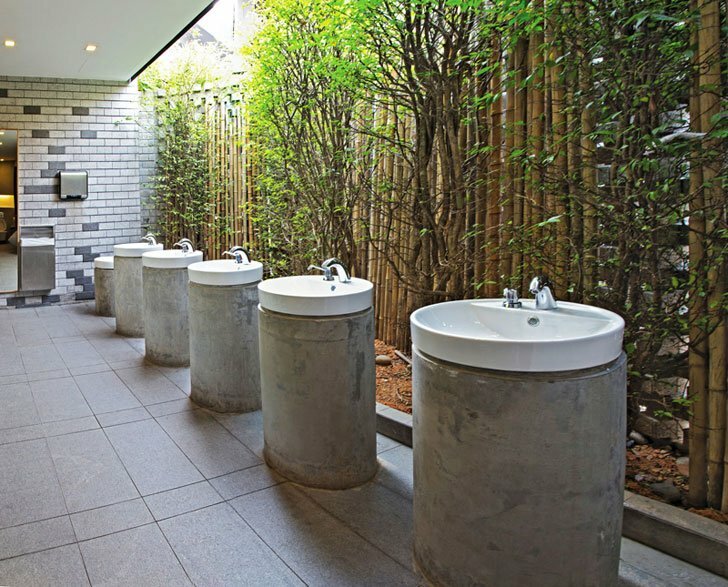 While a modern metropolis such as Singapore offers many amenities and conveniences. There are times when people seek respite from urban life and a chance to interact with nature. It allows people to observe how animals live in the wild and to establish an open, authentic connection with the animals. Yet offering the same safety benefits of a more traditional enclosure. 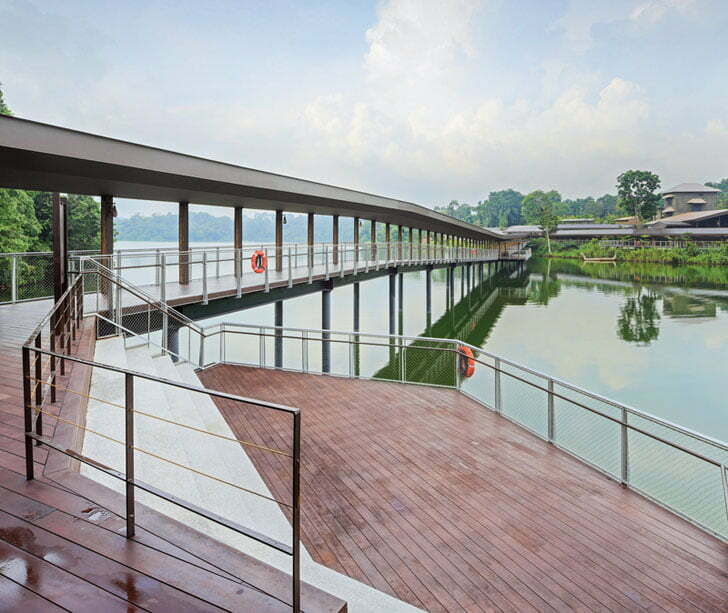 Sited along the Upper Seletar Reservoir and nestled between Singapore Zoo and Night Safari. 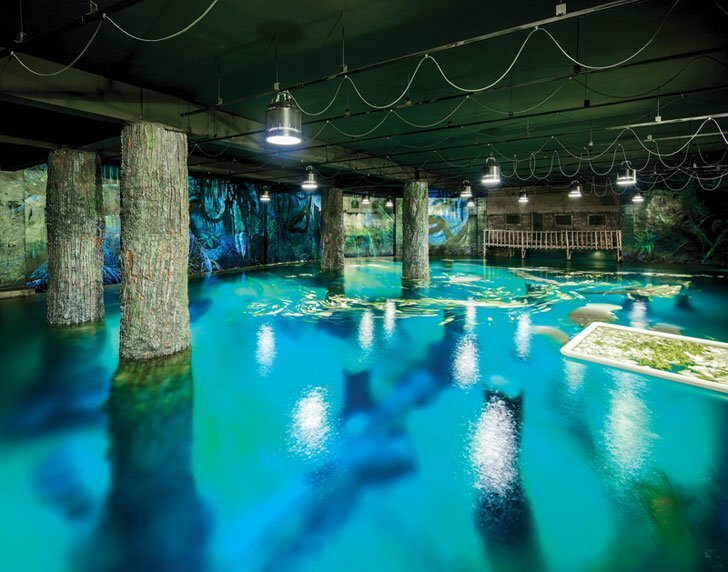 This 12ha attraction features animals representing eight freshwater habitats from around the world – Amazon, Congo, Ganges, Mekong, Mississippi, Murray, Nile and Yangtze rivers. On arrival at river safari wildlife park, visitors are led by a covered walkway to the entrance plaza. In response to the need to provide human scale, the architects incorporated a series of two-storey huts at the entrance. 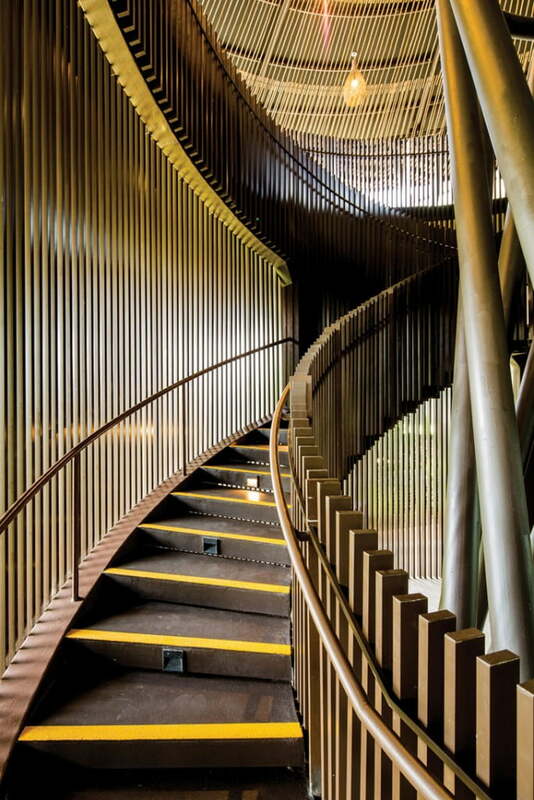 The staircase is wrapped with dark brown vertical aluminum trellis that sensitively filters daylight and views into the inner spaces. The plaza of river safari park accommodates services and facilities including a gift shop, nursing rooms and a restaurant on the second storey, offices, a function room and first-aid station on the first storey. Functioning as a ‘village’, the entrance plaza of river safari park is intended for meeting, socializing, resting and exchanging greetings before visitors move through to other destinations. 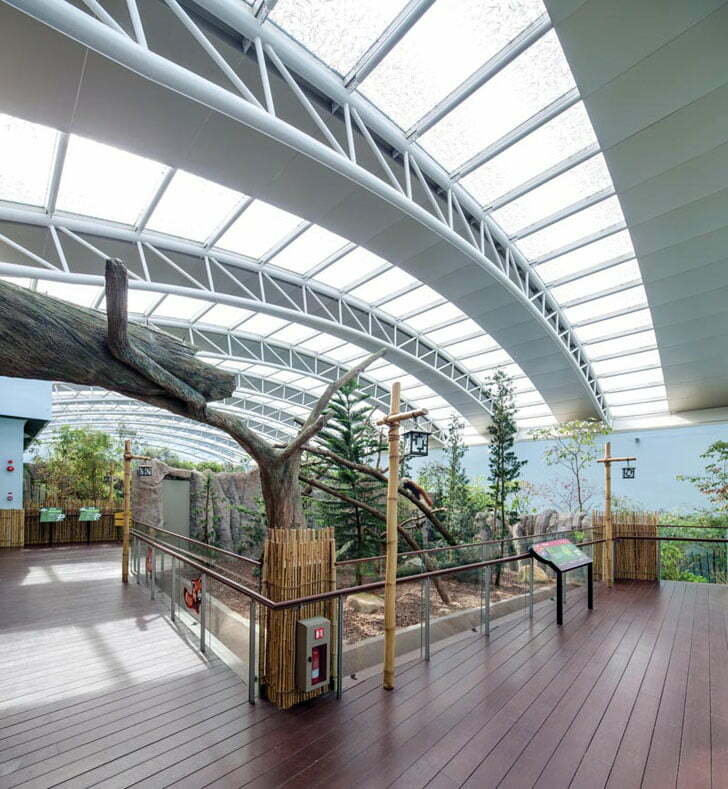 Each of the four metal roofs are supported with a cluster of twisting structural steel columns that terminates at the apex with a circular skylight – a mimicry of the existing perimeter trees that are reaching towards the sky. Sandibe African Safari Lodge Design With Freedom And Budget By Michaelis Boyd, Botswana. 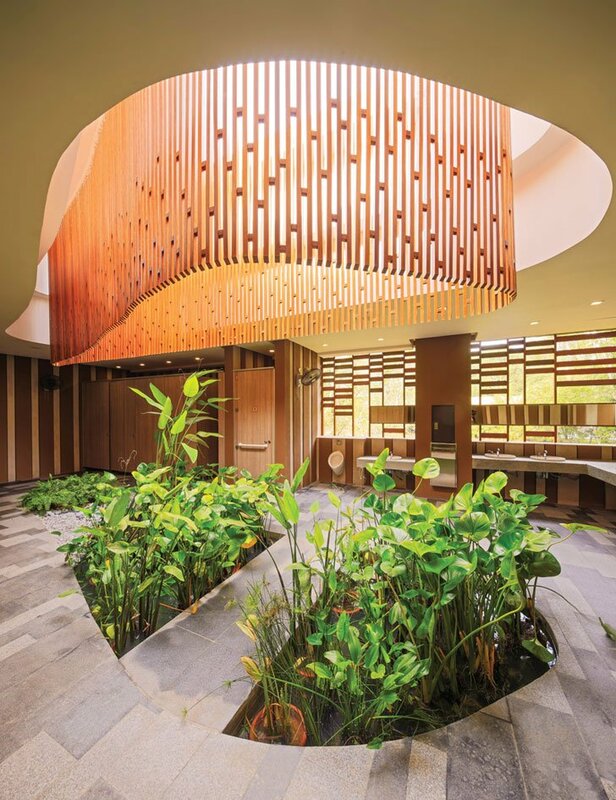 Amazing Beachfront Hotel Design in South Beach Florida by Meyer Davis Studio. Enter Through Minipool In Modern House Architecture By Hyla Architects, Singapore. 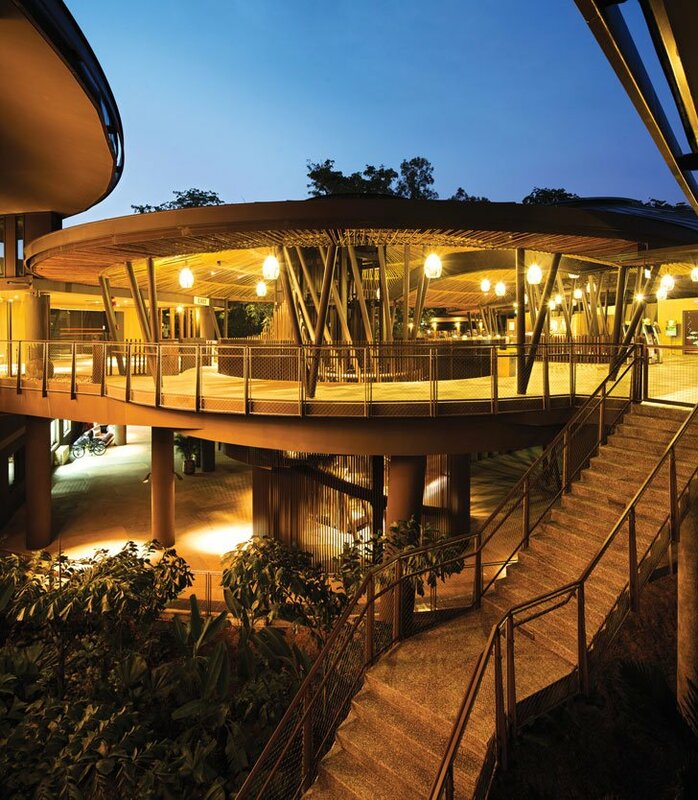 Contemporary Architecture Of Stephen Riady Center At NUS Singapore. Verdant Urban Oasis Master plan for Housing Development in Singapore.